Y: The Last Man Show Picked Up by FX | Nerd Much? After years of will they or won’t they, it’s finally happening. FX announced today that they’ve greenlit a Y: The Last Man show which will bring Brian K. Vaughan and Pia Guerra’s iconic comic to the network next year. 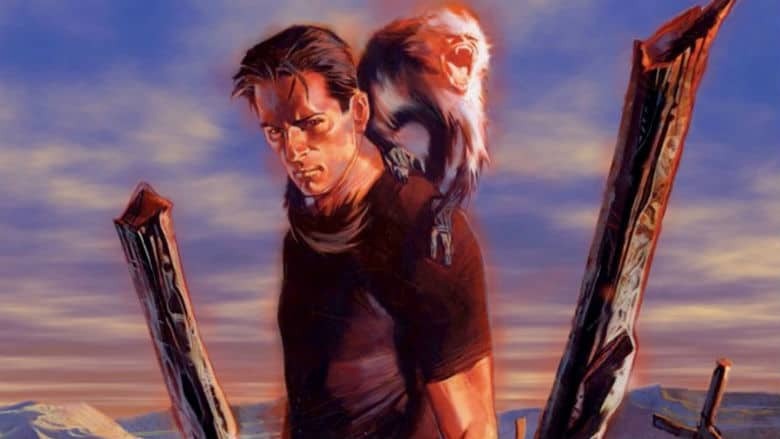 Originally developed by Vaughn for DC/Vertigo, FX’s Y: The Last Man show will be helmed by showrunner Michael Green. Across sixty issues, the comic tells the story of Yorick Brown. He and his Capuchin monkey, Ampersand, are believed to be the only males left in existence following a worldwide plague. FX’s development on a Y: The Last Man show stems all the back to October 2015. November of 2016 saw Michael Green boarding the project, with the showrunner submitting a script to FX at some point in the following year. In April of 2018 FX finally pulled the trigger and ordered the production of a pilot episode for the series which would be directed by Melina Matsoukas. Things apparently went well on that, as we’re here today with news of the network picking up the Y: The Last Man show. Because a pilot was commissioned, the majority of casting has already taken place for the series. Barry Keoghan plays the lead of Yorick Brown. Diane Lane is featured in the series as Senator Jennifer Brown. Imogen Poots is Hero Brown, Lashana Lynch s Agent 355, Juliana Canfield was cast as Beth, Marin Ireland as Nora, Amber Tamblyn is Mariette Callows, and Timothy Hutton is the President of the United States. Development on the Y: The Last Man show should commence sometime soon for FX. The networks states that the series will begin airing at some point next year.